Stress is one of the most difficult physical conditions to conquer. Whether you are an athlete, driver, office worker or just somebody who wants to stay fit, you have definitely encountered this problem. 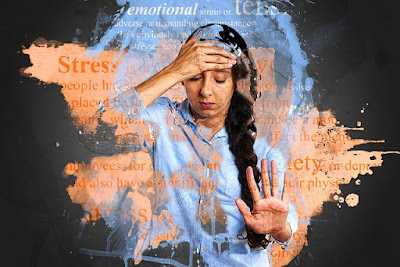 Fortunately there are some all natural supplements that you can use to counter the symptoms of stress and fatigue so that you can move on with your day productively and effectively. The 4 effective supplements mentioned in this guide will not only reduce your tension and stress levels significantly, but will also allow you to do what needs to be done effectively! Turmeric contains Curcumin which is one of the most valuable compounds in the world as it has an endless list of health benefits. A dose of Turmeric of between 375mg to 750mg will go a long way in helping you counter inflammation, enhance vitality, reduce cortisol and promote longevity through reduction of free radicals and stimulation of stage 2 detoxification. When combined with zinc and important vitamins, studies have shown that magnesium improves sleep quality, supports hormonal balance, basal metabolic rate and lowers cortisol. ZMA on the other hand will help you counter cortisol, anxiety and enhance your performance. Daily supplementation of Rhodiola Rosea has been shown to enhance performance, vitality, endurance, energy, fight depression and reduce cortisol. Why take an adaptogen blend? Adaptogens are a unique type of herbal supplements that have been widely used in Ayurvedic and traditional Chinese medicine for hundreds of years to reduce stress and enhance performance. These herbs were considered Queens and Kings in those settings for promoting longevity, stamina, immunity, vitality and health. The word adaptogen mainly refers to the herb’s ability to help users adapt to stress. They do this by regulating and normalizing the adrenal stress response. In addition they will help you cope with the different stresses of life and provide a consistent sense of calmness while increasing energy. They also have valuable anti-inflammatory and antioxidant effects that protect your body’s cells form any damage caused by different chemical exposures. Furthermore, they are not toxic, so you can use them even for long term use as they are gentle and safe. Combating the effects of stress with supplements is one of the most important favors you can do for your body. By doing this you will be replenishing the nutrients, substances and vitamins that your body utilizes everyday but you don’t have the time to replace them appropriately through diet or lifestyle. The sky is only the lower limit for you with these highly effective supplements. Finally, always consult your physician before using any supplements. Stress is indeed a killer. Most people who adapt to stress factors (e.g jobs) die or break down if the stress factor is relieved! Mercy Aigbe and Blac Chyna do blue!